In the field of medicine, different biotechnological applications have been used for decades to cure different diseases and make life easier. So gene therapy is a tool which is quite common to cure genetic diseases and disorders. It is the introduction of normal genes into cells in place of missing or defective ones in order to correct genetic disorders. In the medical field, gene therapy is the therapeutic delivery of nucleic acid into a patient’s cells as a drug to treat disease. Genetic research has made amazing advances as scientists have decoded most of the genetic information that is stored in our chromosomes. For many years, geneticists focused largely on identifying genes responsible for inherited diseases and conditions including hearing loss. Their research helped us understand the modes of inheritance of these genes and to counsel patients affected by genetic forms of hearing loss. More recently, scientists have increasingly focused on identifying genes that might be used to restore lost hearing. Using gene therapy to treat hearing loss has produced encouraging results in animals and holds great promise for future treatments in humans. More focus should be done on technical aspects, including routes of gene delivery to the inner ear, choice of vectors, promoters, inner ear targets, therapeutic strategies, preliminary success stories, and points to consider for translating of these successes to the clinic. Hearing loss and deafness is the problem that science has been working to cure through gene therapy for some time. Most of the hearing loss in older people is noise-induced or age-related, but at least half of the deafness that occurs before a baby learns to speak is caused by defects in one of more than 70 individual genes. There are different methods to cure deafness and hearing loss like hearing aid but such devices cannot fully replicate natural hearing. A key element in current optimism is the development of safer and effective viral delivery systems for getting corrective genes. In the case of deafness, this involves injecting a gene-carrying engineered virus into the inner ear. According to WHO, hearing loss affects some 360 million people or 5% of the world’s population which means the treatment of this disease is necessary. But there are currently no approved disease-modifying treatments for disabling hearing loss which would help these people of the world. Different methods and prototypes are being developed and tested by different pharmaceutical companies to cure hearing loss. The department of otolaryngology at Columbia University is one of three centers in the world conducting a clinical trial in which cellular regeneration is being used to treat hearing loss. There can be different reasons that cause hearing loss. Most of the causes may be by the death of inner ear hair cells. These hair cells (named because they have tiny endings that look like hairs) detect sound waves and then send this information on to the brain. As a person losses hair cells in the inner part of his hair which may be caused by different reasons like aging or certain genetic conditions and this causes hearing loss in a person. This study involves an investigational drug containing a gene that has been shown to produce the hair cells in a pre-clinical trial. Currently, there has been only a way to treat severe-to-profound hearing loss caused by the death of hair cells is through cochlear implantation. However, in the future different forms of hearing loss may be treated by biological regeneration of the damaged inner ear cells. But the clinical trial of cochlear implantation is ongoing which hasn’t given the correct result of it on people. The ongoing study is done by the US national library of medicine which will be completed on February 2, 2022. 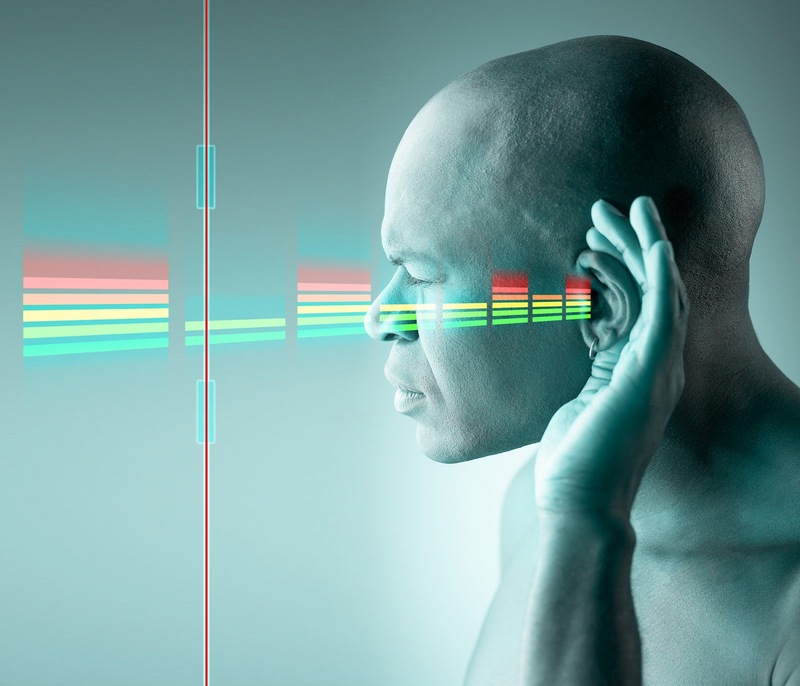 Researchers in America have started a clinical trial to test a groundbreaking gene therapy which aims to treat hearing loss by restoring sound-detecting cells that have been damaged by trauma to the inner ear. Novartis, a Swiss drug company, is collaborating with the University of Kansas Medical Center to run trials on human volunteers with hearing loss. This is the world’s first gene therapy trial for hearing loss. The volunteers will get an injection of a harmless virus containing a gene that should trigger the regrowth of the sensory receptors in the ear. Hair cells in the ear can be damaged by loud noises, drugs, and disease – in 2003, another group of researchers discovered that certain genes can transform in the ear, causing them to grow back and improve the subject’s hearing. In 2013, Staecker and colleagues performed tests on mice with damage hearing to see if one of those genes, called Atoh1, would regrow their ear cells. Atoh1 has been found to play a critical role in hair cell differentiation. Adenoviral-mediated overexpression of Atoh1 in culture and in vivo has shown the ability to regenerate auditory and vestibular hair cells by causing trans-differentiation of neighboring epithelial-supporting cells. Functional recovery of both the auditory and vestibular systems has been documented following adenoviral induced Atoh1 overexpression. Two months after being injected with a harmless virus containing the gene, the rodents’ hearing ability improved by about 20%. In October 2014 Staecker’s team got the go-ahead to perform trials on humans and have performed a similar process on the 45 volunteers as they did on the mice: inject the viral gene package directly into the volunteers’ cochlea by peeling back their eardrum and passing a needle through a tiny hole made by a laser. Also, Interfering with residual hearing is the biggest risk so they start with the people who have lost almost all hearing already. In biological research, this is an exciting time. Most of the technical code used to create all the human body’s structure is now known. Scientists are working to re-grow defective structures like hair cells in the cochlea using this information. Animal studies have been successful. Before this approach can be tried on people, however, many efforts need to be done. Biotechnology has lots of application essential for making human life easier and simpler. As gene therapy helps to cure different diseases, it has been an important part of modern science. So all the above information and results which we are about to get from tests and experiments will surely help the humans and animals to listen and solve the hearing loss problem.